This week was far less dramatic, except for when Marlie dropped my cell phone and cracked the battery casing. Now I'm worried that it's leaking radiation and I'll get a brain tumor. She's gotten really good at kicking her ball. I think a soccer scholarship might be in her future. She's has also developed fast feet and is practically running. Om second thought, change that scholarship to track and field. One day she grabbed one of my pens and started scribbling on some paper on the floor. She is such a little Einstein so maybe she will get an academic grant. But why limit her? She can be a scholar-athlete, right?! At her follow-up appointment with her pediatrician, Dr. Rogers pointed out that she has six teeth coming in at the same time...that's rough business. We spent Saturday with our buddies Brandy and Brian and their adorable little girl Orlaith. First we visited the pumpkin patch at the arboretum and had an old-fashioned country picnic. Then we went to the Texas State Fair. Brandy and I rode two roller coasters and took the girls on the carousel. Marlie was not feeling the ponies at first, but she warmed up toward the end. Her daddy took this blurry photo. It was a full and fun-filled day! Sounds like so much fun. That hat Marlie is wearing is so adorable. BTW love that big ole flower on Marlie. So cute! She looks completely ill-at-ease on that horse and very suspicious. 6 teeth??? Oh no! 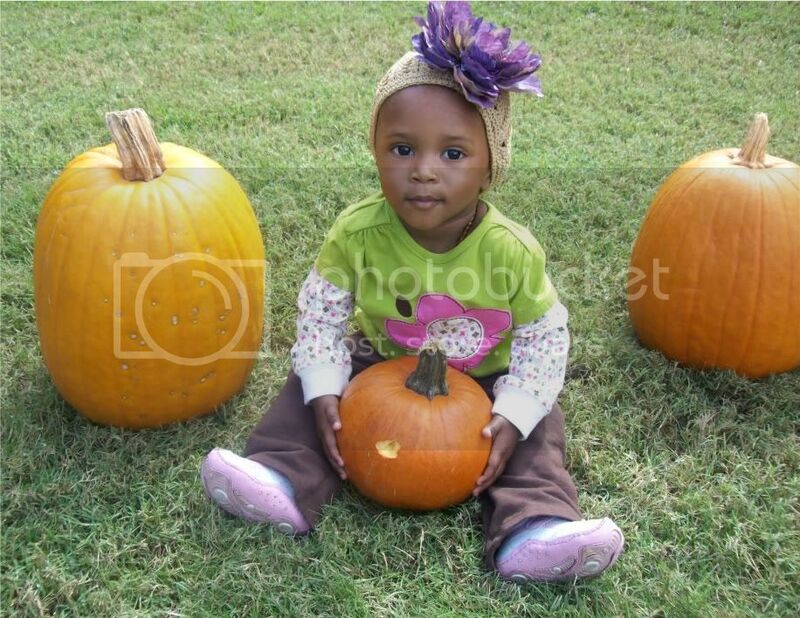 She's so cute with the pumpkins. 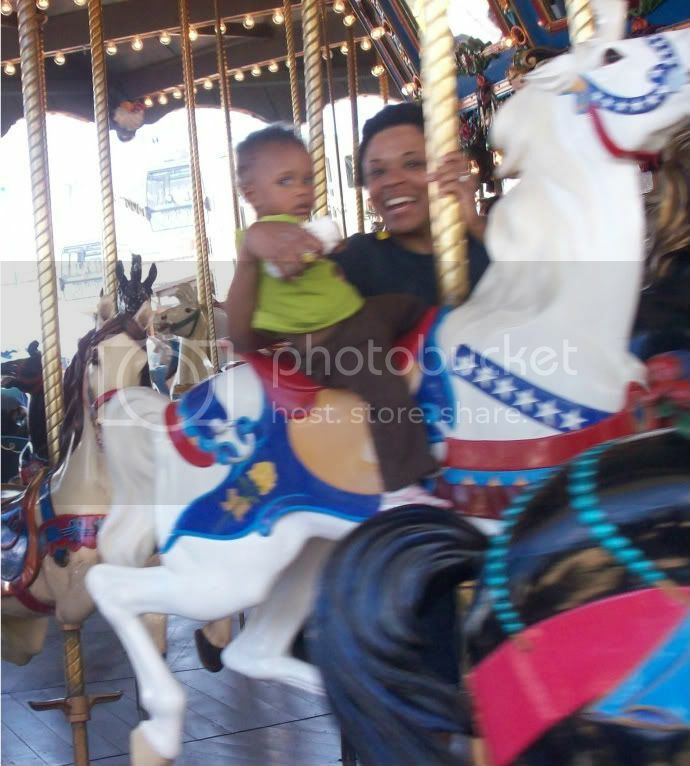 Love the carousel picture too! We had so much fun with y'all on Saturday! Aww poor marlie and those teeth! I love that pumpkin pic. Too cute! By the way, where did you get the flower hat? Owwww, six teeth! No wonder you're looking into teething remedies. Miss V is still cutting he incisors and she's 2. So she has been a SLOW teether, no six teeth at once here.